A fake video enticing people to click on the picture reportedly gone viral on social networking sites such as Facebook. 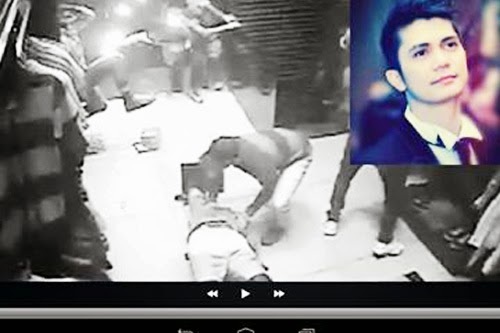 Snapshot of the link promising a CCTV footage showing the controversial incident involving actor-host Vhong Navarro. People kept on clicking on the spam link and the post automatically got reposted through their Facebook profile page. The deceptive link, which promises to play the said video, is an online scam used by hackers to trick their way into computers, acquire passwords and other log-in details. It is also used to spam personal timelines and feeds with unwanted links. Once the link is clicked, the user is directed to what appears to be a fake video embedded on a fake Facebook page or website and as soon as the user clicks on the link further, it is shared on their Facebook profile too. Spam links have been doing rounds on social networks with the purpose of driving traffic to certain websites, make sure that the source is verified or is trustworthy. If you like this article, please share it with your friends or express your thoughts below!